No, they didn't jam together; they didn't even meet - the wonders of Photoshop! Lenin or Lennon? Vladimir Ilyich Ulyanov or John Winston Ono? Marxist revolution or “Revolution” (or, perhaps, “Revolution 1”, or - even - "Revolution 9"?). “Count me in”; or “count me out”? For the Cuban regime of the mid-60s, the answers were clear: it was dialectical materialism over Mersey-beat rock ‘n’ roll; it was proletarian revolution over utopian pacifism; it was revolution over revelation. In those early years of Fidel-ity to the revolution – so soon after the Bay of Pigs (April ’61) and the Cuban Missile Crisis (October ’62) – anything American was anathema. And, ironically, the Fab Four were considered leading figures of the American cultural scene – thanks to the triumph of the "British Invasion" in North America. And the “generation gap” between the mainstream scene and the youth counterculture had yet to be fully identified and appreciated. 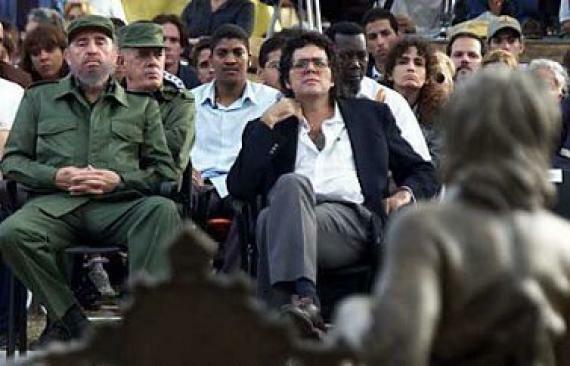 Furthermore, Castro was trying to promote the "revolutionary roots" of indigenous Cuban music. So, from 1964-1966, the music of The Beatles – as well as all other contemporary American pop – was banned completely from Cuban radio and television. It’s not that it was considered overtly counter-revolutionary, but it was thought to be ideologically “diversionary” – and, therefore, a distraction from the pure focus on revolutionary art and culture. And from their perspective, of course, it was. ﻿But things changed. The total ban on The Beatles, and other contemporary British and American pop music, was lifted in 1966. It was generally acknowledged that the ban had been a mistake. But the music was pulled from Cuban airwaves again in the 1970s, in response to a harsher political climate. For serious-minded Marxists, western pop culture was deemed terribly decadent; as such, The Beatles were seen as leading figures in a culture of "selfish consumerism". But Cuban fans did manage to get their hands on some of the music, listening to it surreptitiously. And there were a few brave souls who were willing to champion the cause - professor Ernesto Juan Castellanos, for example, who hosted both radio and TV programs which featured Beatles' music. It was he who got permission finally to put a Beatles show on Cuban radio. He got into trouble sometimes in the early days - there were conflicting attitudes amongst the ruling elite - but his attitude eventually won out, and he became a bit of a cultural hero in Cuba. 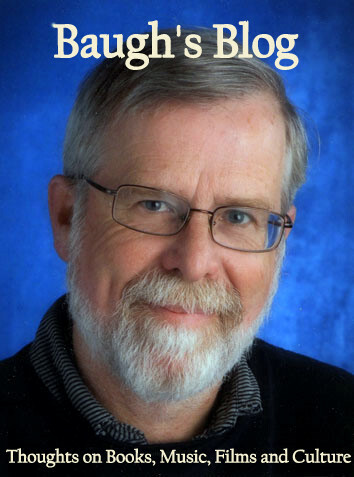 He went on to write several books about the Fab Four and their influence on contemporary Cuban music. The big thaw, however, came in 2000. In April of that year, 200 people gathered in Havana's Cuba Pavilion for an event dubbed the "First International Colloquium on the Transcendency of The Beatles". It was a three-day celebration of The Beatles' semi-underground history in Cuba - given a formal academic underpinning, perhaps, in order to make it more palatable to any disapproving elements in the regime. It was organized by Ernesto Castellanos. Beatles' songs began to be covered by local Cuban bands. And Lennon-McCartney lyrics began to be used in classes learning English - much as they had in North American high schools 30 years before. Even the Communist Party's daily newspaper, Granma, got into the act. They put The Beatles on a list of the most "relevant" figures of the 20th. century - just below Fidel Castro, Vladimir Lenin, and guerilla leader Che Guevara! And, then, on December 8, 2000 - the 20th. anniversary of Lennon's murder in New York City - a special ceremony was held at Parque Menocal, in the Vedado district of Havana. Fidel Castro was on hand. By his side stood the Cuban music-star Silvio Rodriguez, a leading figure of La Nueva Trova, a movement in Cuban music that emerged in the late 1960s. On this special occasion, he sang Lennon's song "Love" - taken from the LP John Lennon/Plastic Ono Band. 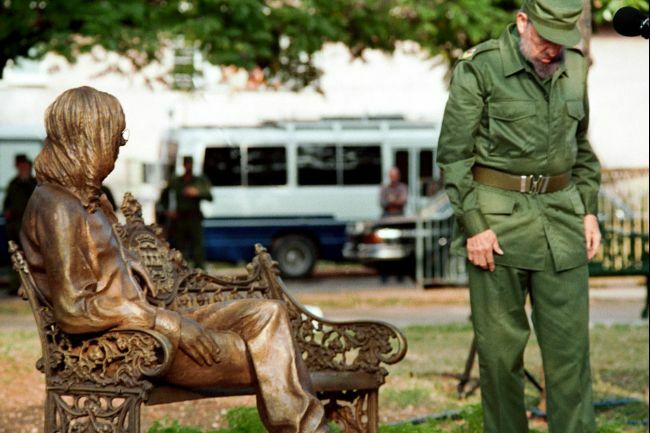 As the strains of "All You Need Is Love" were then pumped out of nearby loudspeakers, Castro unveiled a bronze statue of John Lennon sculpted by noted Cuban artist Jose Villa Soberon. And, it was announced, the name of the park was now being officially changed to John Lennon Park. "What makes him great in my eyes," said Castro to the crowd, "is his thinking, his ideas. I share his dreams completely. I too am a dreamer who has seen his dreams turn into reality." 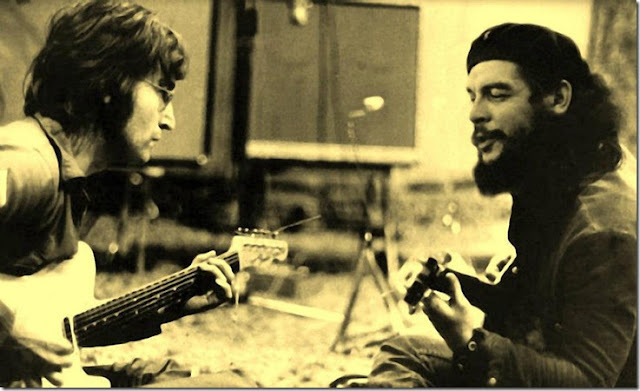 Fidel expressed regret that he had never met Lennon. "I too am a dreamer ..."
A year later, Ernesto Castellanos published a book about the statue: John Lennon en la Habana with a little help from my friends. It discussed the work of sculptor Jose Villa Soberon; it gave a detailed history of the influence The Beatles music had in Cuba - despite the banning; and it attempted to explain the regime's change of heart. Lennon, like the regime in Cuba, had been harassed and persecuted by the American government. He was seen on the island as a rebel and a victim. His progressive politics were noted - his championing of the working class, his feminist ideals, and his activism in support of political causes and campaigns. But the reality of Lennon's politics was more complicated than that. Like most creative and imaginative artists, he was often a bundle of contradictions, and had ambivalent attitudes about many key issues in his life. If you really want to consider fully the man's political views, you can do no better than chart the tortuous development of his song "Revolution", which morphed into three different recordings in the spring and summer of 1968. The fall-out from these tracks (one of them released as a single with "Hey Jude"; two of them included on Side Four of the White Album) charts Lennon's ambivalent relationship with the counterculture and New Left progressives of the period. In 1967 he was a leading figure in the vanguard of the youth movement; by the end of 1968 he was being ridiculed by the more radical elements of the left. Lennon's instincts came into conflict with his need to be a spokesman on the cutting edge of the cultural zeitgeist. ﻿The personal - as they say - is the political. And underpinning John Lennon's default political position was a suppressed rage he felt because of the traumatic course of his early childhood and adolescence. He lost his mother twice: first when she gave John up to her sister Mimi (when he was five); and then when she was knocked down and killed by a drunken, off-duty policeman (when he was 17). He was given a comfortable and stable upbringing, nonetheless, by his conscientious (but rather stern) Aunt Mimi. But the hurt and anger was always there - only just below the surface. Listen to "Mother", the opening track of his solo album John Lennon/ Plastic Ono Band. The LP is permeated by the influence of his recently-completed "primal therapy" with Arthur Janov. "Mother" gives you the raw, emotional centre of Lennon's latent rage. And "Working Class Hero", from the same album, is a more intellectualised (but still nakedly angry) presentation of his basic political attitude. But working class? Not really: he was the least working class of the Fab Four. 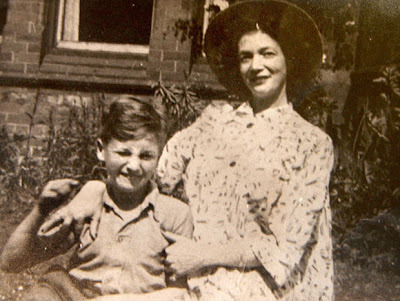 His parents may have been classed as such, but he grew up with the prim and proper Mimi Stanley on Menlove Avenue, in the middle-class neighbourhood of Woolton. She looked down on many of John's adolescent friends - George Harrison, famously - as being rough and common. 'Til they find there's no need (there's no need). The burgeoning hippy-movement that emerged in 1967's "Summer of Love" reinforced this apolitical stance. It was a naive and simplistic position, blown apart by the violence that was to erupt in early '68, and challenged head-on by reactionary forces within the police, the justice system, and the political establishment. The Maharishi - with Beatles and (l-r) Jane Asher, Cynthia Lennon, Pattie Boyd and Jenny Boyd (Pattie's sister). On the cusp of this dramatic change, The Beatles were introduced to the Maharishi Mahesh Yogi and his meditation technique, dubbed Transcendental Meditation (TM). And at just this moment, their manager, Brian Epstein died of an accidental drug overdose. In early 1968, The Beatles made a pilgrimage to the Maharishi's ashram in Rishikesh, India, in order to pursue TM more deeply. They stopped using LSD and got deeply into daily meditation. In this idyllic setting - the foothills of the Himalayas, in northern India - they were able to relax, take stock of their new situation, and think about the future. Little did they realise what dramatic changes lay ahead. When they got back to England, the political climate had changed dramatically. "Swinging London" was suddenly a thing of the past. A year of political violence - anti-war demonstrations, student sit-ins, and assassinations - was kicked off by a student uprising in Paris in May of 1968. The Tet Offensive in Vietnam a few months earlier had burst the bubble of the drug-fuelled utopian fantasy that had dominated the previous year. And then there was a violent anti-war demonstration outside the U.S. embassy in London's Grosvenor Square. An estimated crowd of 100,000 were there that day. In early April, Martin Luther King had been assassinated. There was an obvious shift from 1967's rhetoric of peace and love to a political scene that was becoming more confrontational, more militant. It was into this situation that The Beatles returned to EMI's Abbey Road studios in late-May, in order to begin work on their next LP - the monumental White Album - which took hundreds and hundreds of hours to record, spread out over about five months of the summer of 1968. The first track they worked on was Lennon's response to the growing revolutionary spirit in the counterculture and the so-called New Left. His sudden need to take an overt political stance was prompted by several factors: the death of Brian Epstein (who had always moderated and controlled John's contact with the press), the eroding sense of The Beatles as a set of lovable mop-tops, his interest in the emerging, anti-establishment counterculture, and his growing relationship with the avant-garde New York artist Yoko Ono. The introverted, laid-back, apolitical John was gone; in his place stood a politically-engaged, acerbic and aggressive John, ready to speak out on the issues of the day to a press corps anxious to report on his every move and opinion. 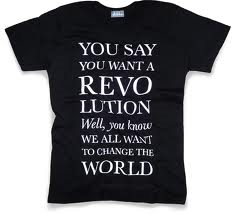 The lyrics of "Revolution" were a defiant challenge to the new progressive consensus. Lennon was not willing to give up his love and peace ideal. "Count me out" from the revolutionary agenda, he sings; it's being pushed by hateful people interested mostly in destruction. Let's see the plan for this so-called solution. And - in the lyrics' most pointed image - he castigates those demonstrators "carrying pictures of Chairman Mao." 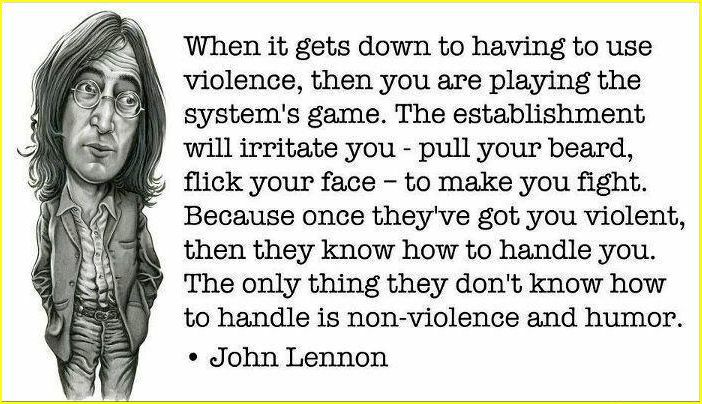 What is Lennon's retort to this call for violent overthrow? Change is brought ultimately by the individual, not the system, he sings: "change your head ... free your mind instead." And in a return to the quiescent, passive attitude of his past, he calls in the refrain for a faith in trust and inaction: "it's gonna be alright." The first version of "Revolution" included an extended coda, tacked on to the laid-back, two-chord shuffle that preceded it. It was stuffed with groans, shouts, sound-effects, and other audio tricks - intended, apparently, to suggest the chaotic breakdown implied by revolutionary action. This track took them about forty hours to record, over four different sessions. The experimental stuff at the end of the track was eventually lopped off, however, and became the foundation for a new piece, which would become the avant-garde, musique-concrete piece "Revolution 9". 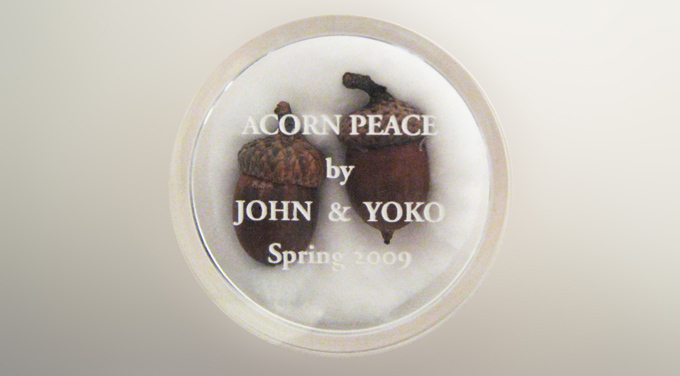 It was a track inspired by the audio experiments that John and Yoko had been working on in their home studio. George was also interested in the piece and participated; he had done experimentations of his own in his soundtrack for the film Wonderwall in December '67 and early January '68. Lennon was not completely comfortable with the lyrics of "Revolution". He was sufficiently attuned to the current cultural vibes to know that there would probably be a backlash. A fair proportion of The Beatles' youthful following were becoming increasingly radicalised by the violent and confrontational events happening around them. His ambivalence is evident in the "Revolution 1" version on the White Album, where he sings, "Don't you know that you count me out - in." A perfect vacillation - going for both options! 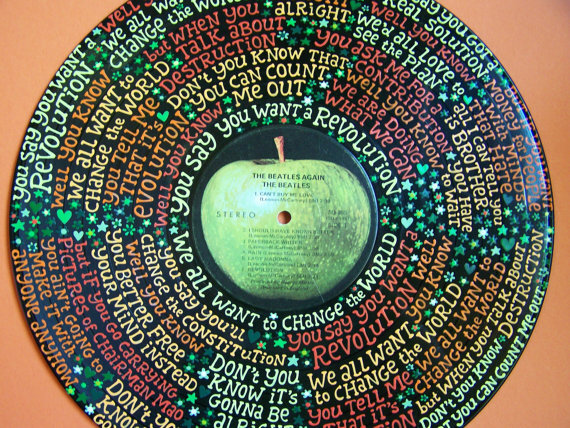 Lennon wanted to release "Revolution 1" as a single. McCartney wasn't keen. 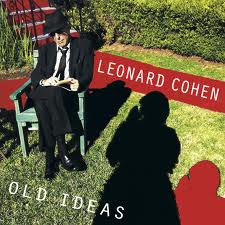 He thought the overtly political lyric was too controversial and would bring the band lots of grief. But Lennon continued to champion the song throughout the summer. 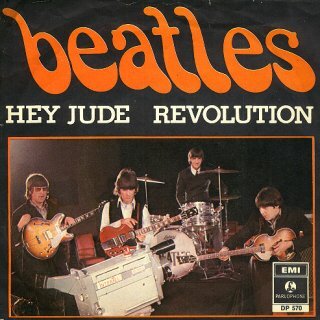 Finally, he devised a new arrangement as his side for the "Hey Jude"/"Revolution" single. It is an incredible arrangement - featuring heavily distorted, fuzz-toned guitars overloaded by direct injection into the board. At this time, mid-July - about six weeks after starting work on the original track - Lennon reverted to his original sentiment: "Don't you know that you can count me out." The searing arrangement, replete with Lennon's almost-sneering, two-tracked vocal emphasised the fact that he had finally made up his mind on the issue. So, it was the single version of "Revolution" that hit the music shops first. The Beatles' more politically-hep fans, who were caught up in the more militant wing of the counterculture, ridiculed Lennon for his rich-man's pacifism. They couldn't buy his assurance - after the long litany of violent events that summer - that everything was "gonna be alright." The intellectuals of the countercultural press and the New Left also took offense. The song was taken as a betrayal of the "movement" and - to quote one pithy critique - "a lamentable, petty-bourgeois cry of fear." Interestingly, as Ian MacDonald points out in his brilliant Beatles book Revolution In The Head, reactionaries in the U.S. began to argue that The Beatles were actually "middle-of-the-road subversives warning the Maoists not to 'blow' the revolution by pushing too hard." When the White Album finally emerged in late November, many offended fans were delighted to see that Lennon had apparently recanted his earlier position, somewhat, by adding to the "Revolution 1" version of the song (which opens Side Four of the LP) that extra word: "Don't you know that you can count me out ... in". They weren't to know, of course, that the album track preceded the single by about five weeks. But it was enough to placate many of the disgruntled fans. Lennon's natural instinct, all along, had been to hold to his pacifist position. His main focus, it seems, was the growing anti-war movement. He and Yoko may have participated, in a rather ad-hoc way, in various progressive causes and campaigns, but they kept coming back to the issues of war and peace. And rather than push these topics into the media using traditional methods, John and Yoko decided to use their celebrity status as a tool to promote their political and social concerns. Their relationship with the British press was not always a positive thing (described sardonically in Lennon's song "The Ballad of John and Yoko"); there was a significant portion of newspaper journalists who showed a decidedly chauvinistic and xenophobic attitude to Lennon's new Japanese-American partner. The media also ridiculed many of the couple's off-beat and quirky antics - taking a literal view on events that were intended to be metaphorical and symbolic. John and Yoko soon became court jesters to many of the cynical press; or holy fools to many of their bemused and puzzled fans. What was happening here was a creative marriage between Lennon's more direct, in-your-face, anti-establishment position and Ono's highly conceptualised, artistic aloofness. Her art, coming out of the New York City avant-garde scene, was inspired principally by the city's Dada-inspired Fluxus group. The key focus of this sort of art was not on art objects (artefacts), but on art happenings (events). The artist became less the creator of art pieces, and more the catalyst, or facilitator, of a public event that often included some sort of participation from audience members. The focus shifted from the permanent object to the temporary concept. Art became not a collection of things, but a series of public actions. So John and Yoko's political work shifted from public statements - letters and documents presented to politicians and media - to public happenings that used symbols and concepts to provoke thought and, much later, determined action. To give but one example: in the spring of 1969 they did Acorn Peace - in which they sent two acorns in a transparent plastic case to many world leaders, accompanied by a brief note: "... we are sending you two living sculptures - which are acorns - in the hope that you will plant them in your garden and grow two oak-trees for world peace." This was political action designed to by-pass the reliance on formality and rationality, and come at things from a more intuitive, accidental, and - yes - silly, or nonsensical angle. This was politics of an entirely different sort, and many commentators and pundits just would not buy its basic premise. So, whilst they staged this series of conceptual art events designed to have a political or social effect, they also continued to champion certain causes and campaigns - some of them rather controversial - that came to their attention. And Lennon stuck steadfastly to his pacifist stance, in the face of continuing criticism from the revolutionary Left. He reiterated his view that revolution often led to worse situations than the original problems. But then he and Yoko finally seemed to capitulate - the result of their permanent move to New York City in September, 1971. After arriving in New York City, they took up residence on Bank Street, in the city's famed artistic centre of Greenwich Village. 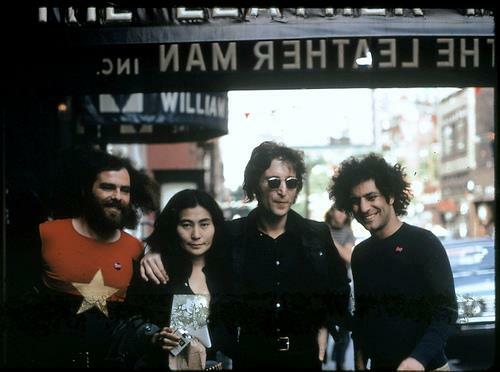 Recognising celebrities they could influence and exploit, the leading figures of the Yippie movement (people like Abbie Hoffman and Jerry Rubin) hung out with John and Yoko - who would have understood and appreciated the Yippies' penchant for street theatre and their counter-cultural politics of symbolic gesture and aggressive rhetoric. Lennon and Ono quickly became active in support of many progressive causes. But it was their open and enthusiastic association with the Yippies that brought them to the attention of the F.B.I. - and, eventually, other departments of the Nixon administration. When the more intemperate members of the Yippie crowd (I'm thinking of Jerry Rubin, for example) began blabbing in public about the idea of John and Yoko headlining a country-wide tour leading up to the Republican party's Presidential convention, the F.B.I went into overdrive. Taking advantage of the famed couple's London drug-bust (1968), the administration served Lennon and Ono deportation orders in March of 1971. This was the beginning of a long, four-year battle to stay in the country - which ended in July 1976, when the pair were given permanent residence and work permits. Not only did that early enthusiasm for the radical Yippies put their residence in their new home at risk, it also tainted their art and music. About eight months after their immersion into the counter-cultural scene of Manhattan, Lennon put out his third solo LP, Sometime in New York City (June, 1972). 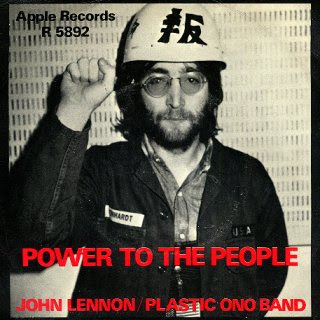 It was a collection of politically-charged songs (Yoko wrote and performed about half the material) designed to be topical and simple in approach. Simple, perhaps. But many fans and critics saw it more as simplistic. The lyrics were polemical - lacking any of Lennon's usual humour and subtlety. He had seemingly adopted the doctrinaire and black-and-white attitude that he had always challenged. And the music evidently suffered. 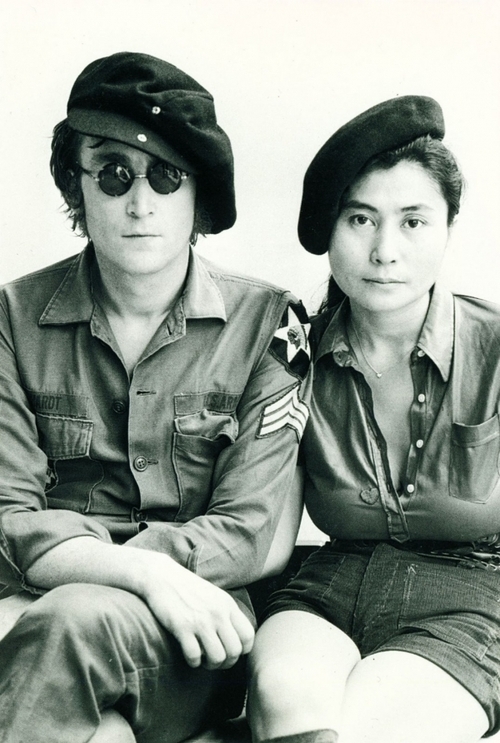 As a sign that the capitulation was complete, Lennon and Ono adopted the appropriate gear - wearing the Mao badge, donning the familiar black beret, and putting on the black leather gloves. Raised fists became their new political gesture - rather than the bare, two-fingered peace symbol. It was all too depressing for fans who thought Lennon was too smart to be drawn into such puerile, political posturing. It was a return to the stance of his drug-soaked Kenwood days - encapsulated in the song "I'm Only Sleeping" from Revolver (and quoted from earlier in this blog post). Did it also reflect a chastened realisation that his instinct for passive observation and witty reflection had always served him better as an artist than the rhetorical flourishes of an overly-politicised musician? As a witty and astute lyricist, Lennon had always had a canny facility for writing political anthems - ever more so, in fact, when he was extolling the values of love and peace. He had the pacifist's fear of naked violence. And when he considered revolution as a political goal, he couldn't get past the conclusion that it entailed too much killing and destruction, whilst leading on to more of the same - or even worse. "Give Peace a Chance" is not just an anti-war anthem, but also a statement about attitude and approach. His pacifism would always keep him from the barricades; if he were to mount them, however - in a gesture of solidarity - he would no doubt be stuffing flowers into the upturned rifle barrels. Some time soon after the bronze statue of Lennon was unveiled in Havana's John Lennon Park, its "granny glasses" were stolen. They had originally been affixed to the face of the statue, but a miscreant prised them free. The sculptor made another pair of spectacles to replace the missing ones. They, too, were eventually removed. To solve what was obviously going to be a continuing problem, a retired senior citizen was hired to guard over the popular statue. He actually keeps the bronze spectacles in his pocket. When a fan (usually a tourist) comes by to visit the shrine, the old man comes over and places the glasses on the nose, ready now for viewing, and for the inevitable flurry of photographs. This excellent statue of Lennon was sculpted by Cuban artist Jose Villa Soberon. He is an accomplished sculptor, painter, engraver and designer. 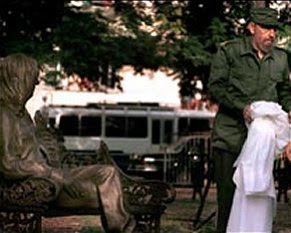 He is well-known for his many public sculptures around Havana. Among the more notable ones: Che Guevara (1982), Ernest Hemingway (2003) - placed on a barstool in the Floridita bar and restaurant, and his sculpture of street vagabond Jose Lledin (2001) which is located outside the Basilica Menor de San Francisco de Asis in Havana - passers-by give the statue a stroke for good luck. It was worth visiting this park in Vedado. It is a bit out of the way from downtown Havana, but you can combine your visit here with a trip to the Revolution Plaza and the Christobal Colon Necropolis. It is just as memorable a visit as a trip to Mathew Street in Liverpool to see the life-sized statue of John Lennon there. At the feet of the bronze statue is a quote, in Spanish, engraved into a slab of marble: "Diras que soy un sonador pero no soy el unico." Which translates as: "You may say that I'm a dreamer, but I'm not the only one" - a line of course from "Imagine". Barbara provides the inevitable two-fingered salute - the now-universal symbol for peace. It's almost an automatic response - whether you're at the Strawberry Fields garden in New York's Central Park and posing in front of the Imagine mosaic, or standing beside the John Lennon statue in Liverpool's Mathew Street, near by The Cavern. The statue depicts Lennon as he was in the period I've been focused on in this article - around the time he was working on The Beatles (the "White Album") and struggling with his ideas about politics, peace and revolution. Although he seemed ambivalent about his opinions, he always began from a pacifist stance and an ardent opponent of war. Quite how that fits with communist revolution is a good question, but if the Cuban regime is willing to celebrate John Lennon as a hero, I'm happy to concur! All of the photos in Havana, Cuba in this blog post were taken by Clive Baugh (except the shots of the unveiling ceremony in 2000). Resources: Revolution In The Head by Ian MacDonald. A brilliant and eminently readable book about all The Beatles recordings - done in chronological order. 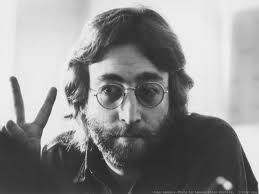 He is particularly good on several of Lennon's epic creations: "Tomorrow Never Knows", "I Am The Walrus", "Strawberry Fields Forever", and "Revolution". Great peace. One of the more cogent summaries of Lennon's activism that I've read. I have heard of the Lennon statue in Havana, but had never seen a pic of it, so thanks for that too. I do have one quibble. Street protest (the "barricades") is not necessarily linked to violence or revolutionary rhetoric. It is often used successfully as a passive and pacifist tactic to defend political and social rights or to extend them. I had a chance to visit the Oko authorized John Lennon Museum in suburban Tokyo about 10 years ago, since closed. It was largely dismissive of his years as a Beatle, describing them as "John's years as a pop-star." It did focus on his art and the significant amount of work they did together as peace activists, including the "War is Over! If you want it" campaign. I think you are right, Clive, that much of their activism work was ad-hoc. By doing such campaigns on their own, they were able to craft their own messaging, which was clearly important to them. But to my mind they may have been more effective if their efforts had been tied to a more sustained, political anti-war organization. Reading your essay I cannot but help wonder what Lennon and Ono would have had to say about and contribute to the global peace and nuclear disarmament movement of the 1980s. 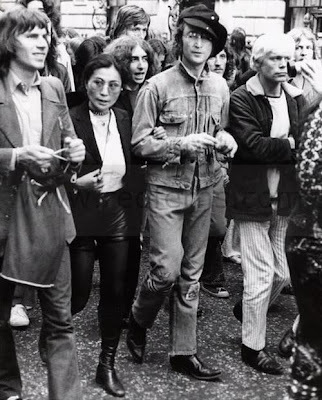 It seems to me that Lennon's pacifism and humour was much in evidence in Central Park in June 1982 as more than a million marched to end the nuclear arms race. "One Day at a Time" (1976) by Anthony Fawcett. The author, an art-critic in London met John and Yoko in the spring of '68. He worked with them on a few projects and then joined them full-time in early '69 as their personal-assistant. He stayed with them until they left for NYC in September, 1971. The book documents the activities of John and Yoko during that period. Fawcett is good at providing theoretical and historical context for the couple's public events and "happenings". "Come Together: John Lennon in his Time" (1984) by Jon Wiener. A comprehensive account of the Nixon administration's attempt to get Lennon deported. In addition to describing Lennon's involvement with the countercultural scene in NYC, including the Yippies, and providing a detailed history of the American government's activities in trying to deport him, Wiener also charts Lennon's political activities in both the U.K. and the U.S.A (focusing especially on his attitudes to traditional Marxist and leftist groups, on the one hand, and the New Left groups which were more relevant to the counterculture of that period in the late '60s and early '70s). The same material was covered in the 2006 documentary film "The U.S. vs. John Lennon". Clive, you had me stuck at, "dialectical materialism!!!"ha!ha! How does a dialectical approach fit in with a revolution anyway? I always thought it involved rather a slow process. I'm gonna refer you to Karl Marx and Friedrich Engels on this subject! They were attempting to take Hegel's theory of history as a dialectical process (in the realm of ideas) and apply it to the "real world": hence dialectical (thesis: antithesis: synthesis) materialism. I was reading this stuff in the late 70s at university. It's been a long time! 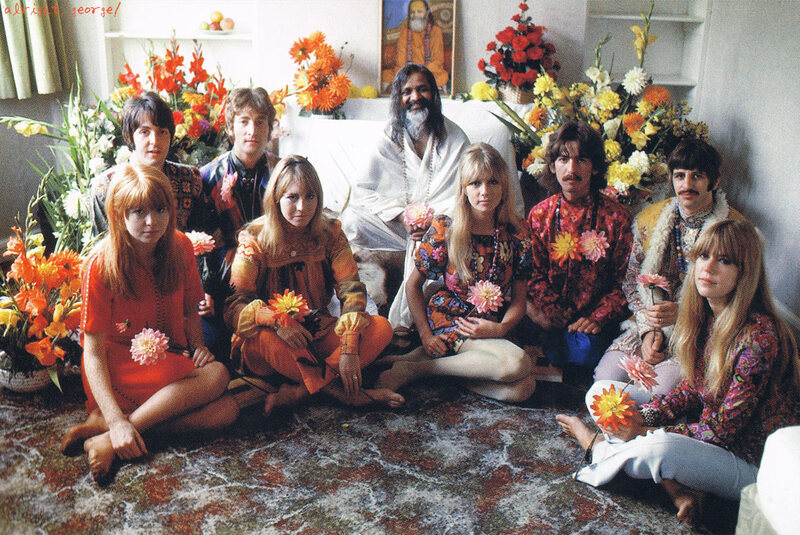 In the photo of The Beatles with the Maharishi - you've mis-identified the young lady at far right. She isn't Maureen Starkey - but Jenny Boyd, sister of Pattie Boyd. Hope that helps you. Now that I look at it more carefully, I see that you're right! Thanks for the correction. I've corrected the photo caption.